The prime sexting App, Snap Chat has now got a sworn enemy. Until now you could get away with a self destructible sext which you sent and be assured of none it being saved without the App informing you about the screenshot of the sext being taken. But now a iOS App has appeared out of nowhere to break the hegemony of Snap Chat at destroying messages. Although the new App breaks the very essence of Snap Chats existence by breaking the basic tenet of privacy and destruction. But then again it is a useful App for someone who can be a victim of the sexting. For the uninitiated, the Snapchat is a photo-sharing application that self-destroys your message within a few seconds of the receiver viewing it. The App is mostly used for sharing racy pictures or text (sexts) with their better halfs or having some fun with pals. You can take a screen shot of the sext before it is destroyed but that triggered the alarm within the Snap Chat and sent a message across to the sender of the sext. That is until now till the Snap Save for iOS was launched. Snap Save not only saves the sext or the racy picture, it also doesnt let Snap Chat inform the sender about the same. 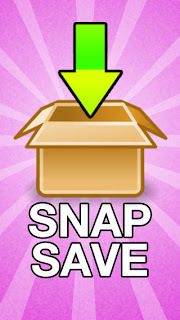 You can download the Snap Save for your iOS devices from Apple Store here. Do remember that the free version is ad supported and the pro one costs $2.99 (Rs.180.00). You should also remember that the Snap Chat guys will be working overdrive to remove this App from the Apple Store shelf because it will not only harm their sales but also make Snap Chat redundant. IMPORTANT: This app requires your device to be rooted for it to work. If you don't know what that means, then your device probably isn't rooted and this app will not work as a result. Formerly known as "SnapChat Save" which was taken down due to alleged trademark infringement, now reuploaded with a new name and icon. It's the same great app as before. 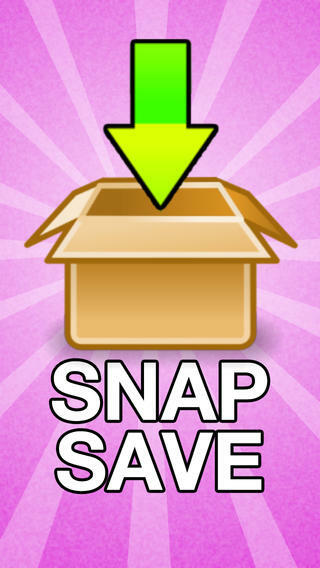 This app will allow you to save incoming Snapchat pictures and videos! Does not notify the sender! The app now has a built-in gallery for quickly opening and viewing up saved Snapchats. Paid users can also choose which individual Snapchat pictures to save, as well as run a duplicate search and delete on the Saved Snapchats folder (duplicates sometimes occur when the Snapchat app refreshes its caches).